The year was 2007. The Wii was all the rage, the iPhone and the Kindle were brand new, and Microsoft had just launched Windows Vista. The subprime mortgage bubble was about to burst and the world would experience the greatest economic crisis since the Great Depression. In that crucible, a small team envisioned a truly collaborative, people-focused, and customer-driven consulting firm. Ten years later, and Bridge Partners is a national firm and a preferred consultancy for companies from start-up to Fortune 50. Our team has helped organizations transform to drive growth, adapt to change, and create enterprise value. Most importantly, we’ve built meaningful relationships with our customers, our partners, and our coworkers. 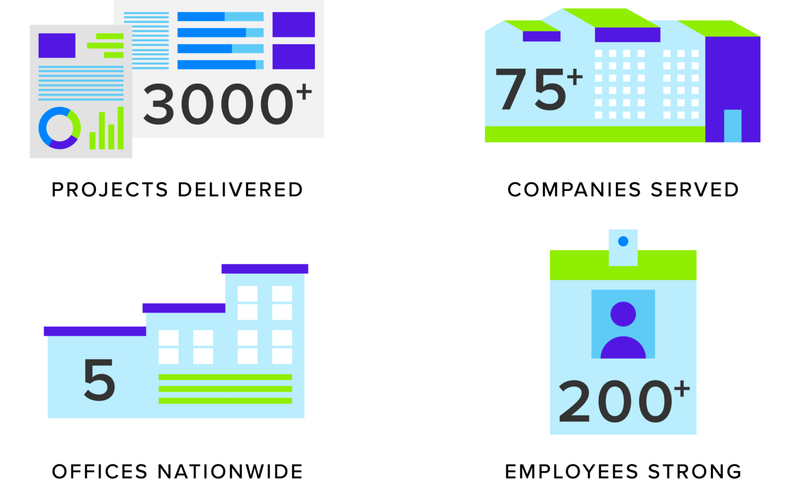 Today, our people-focused and customer-driven vision is stronger than ever. I am proud of our progress and optimistic about our future. Over the past decade, we’ve built a killer team, and I’m truly proud of our consistent recognition as a “best place to work.” Our consultants take pride in their unwavering commitment to client service, and they bring real-world industry experience and deep subject-matter expertise to every project. Through a unique, small practice model, we have delivered better value, built longer-lasting relationships, and created happier clients.